Adoption is oftentimes sugarcoated and oversimplified. Hopeful adoptive parents just “sign up for a baby,” wait a few months, and live happily ever after. Birth parents have a baby they can’t take care of, place it for adoption, and move on with their lives like it never happened. All adoptees are perfectly happy with their story and should be grateful to be adopted. Adoption is a win-win for everyone! None of this is true. Adoption is so much more difficult and complicated than people think it is. Adopting a baby isn’t as easy as it seems. Adoption costs between $20-$50,000. Many families have to go into debt to fulfill their dreams of becoming parents. 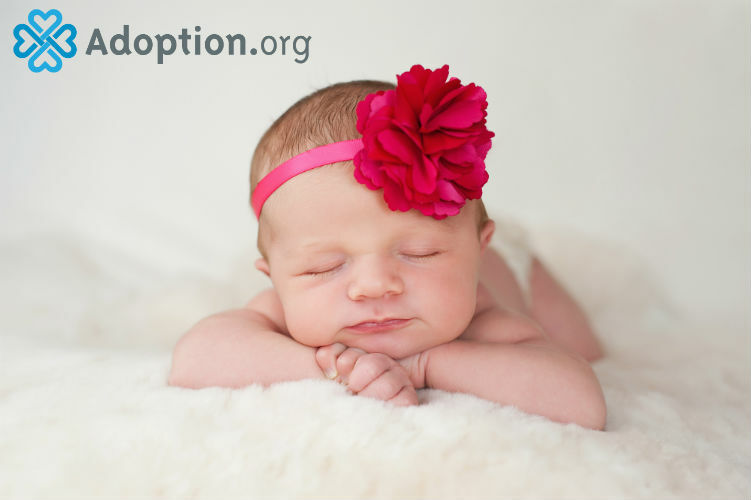 Contrary to common belief, there are not a lot of babies available for adoption. Domestic infant adoption is actually rather rare, with only roughly 10 percent of hopeful parents being placed with a baby. The wait is often long and full of disappointment and heartbreak. Even after adopting a baby, adoption is hard. Adoptive parents struggle with all the same things everyday parents struggle with, and then some. Navigating open adoptions, or explaining closed ones, add a layer of complication to adoptive parenting. Sometimes adoptees struggle to understand their story or have feelings of abandonment or resentment that adoptive parents have to handle. None of it is easy. Placing a child for adoption is often the hardest thing a birth parent will ever have to do. Making the choice to place your child is not something you just “get over.” Placement is often done out of necessity due to unfortunate circumstances. In a closed adoption, a birth parent doesn’t know where the child is, who the adoptive parents are, or if the child they placed is even alive. Even in open adoptions, birth parents don’t always have all the information. Visitation can help the grief, but it won’t heal it entirely. Birth parents also receive judgment from those around them and are painted by the media to be evil monsters who abandon their children. This couldn’t be further from the truth. Placing a child for adoption is a major loss, and it comes with a lifetime of grief. Adoptees don’t choose to be adopted. They don’t get a say in who raises them, and not all of them are happy about it. Growing up adopted can be tough. You might feel lost or isolated. Trying to find your identity as an adoptee can be more complicated than someone from a traditional family. Many adoptees struggle with feelings of loss or abandonment. Some of their birth stories are very sad, and being adopted doesn’t just fix that. Some adoptees don’t know where they came from, anything about their story, or even their race. There’s no guarantee these questions will ever be answered. Adoption isn’t easy for anyone in the triad. There are hard things about adopting, placing, and being adopted. However, just because adoption is hard, doesn’t mean it isn’t worth it. No story is the same, and many people have very positive adoption experiences overall. Adoption makes strong people stronger. Most members of the adoption triad will tell you that as hard as adoption has been, it blesses and enriches their lives every day.